Choose from Cover Series 1 (Classic) materials for front and back covers. 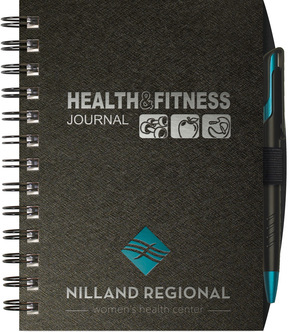 Includes 1-color foil or deboss imprint and a stock "Health/Fitness" imprint (optional). 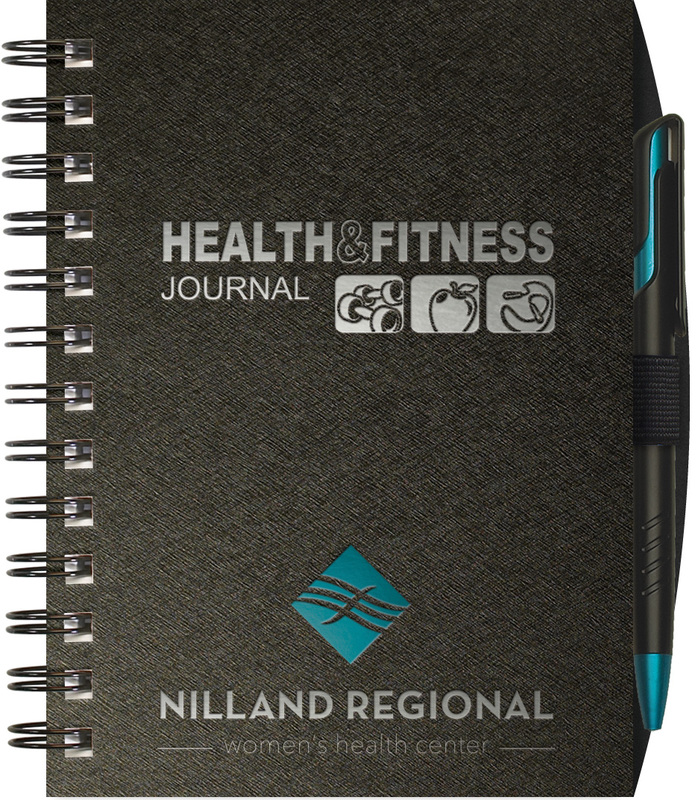 100 sheets of stock Exercise & Nutrition filler, daily food log on front and exercise log on back of each sheet. Black wire binding is standard (more colors available). Optional pre-designed FitnessTips or NutritionTips inserts available as an add-on. Call for higher quantities. Price includes one-color foil imprint up to 16" sq. Set-up fee of $52.50 G. Standard turnaround 7-10 business days. Actual pre-production sample available for $52.50 G.